I promised I would return with a Season 2 review, so here I am! 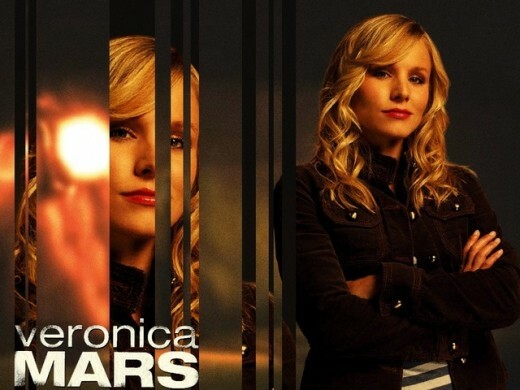 I have just finished the 2nd season of my new all-time favorite show “Veronica Mars,” and though I thought the follow-up to the incredible 1st season wouldn’t live up to the hype…it sure did! I was, once again, blown away by the plot lines, the character arcs and the amazing Kristen Bell. Last season, the Lilly Kane murder was the major plot point, all leading to the reveal of the killer. This season started with another huge jaw dropper…a bus full of students goes over a cliff…SAY WHAT NOW?! Through this one event comes a PCHer stabbing, the mini case of whether or not the driver committed suicide, a kidnapping, and a child molesting scenario. Of course, Veronica is in the middle of it all, trying to figure out the multiple Whodunits. The finale episode this time was killer… literally. A suicide, a humongous death that isn’t featured in a bold way, the resurgence of the kidnapper, and the revelation of who actually raped Veronica were all plot points in the juicy season-ender. It was one intense finale with twists and turns coming out of left field that had me pulling my hair out in anticipation (not even kidding). I have said this once and I will say it again: This show is my favorite show of all-time. ALL-TIME. I started the day of the Kickstarter announcement, and now, I am utterly glued to my screen. If you have the time, definitely head over to TheWB.com and catch up on what you have missed. Also, if you are as invested in this show as I am (Truthfully, this makes me want to take a Criminology class in College), be sure to go donate to their Kickstarter to get the movie made. They have already met their goal of $2 million, but the show’s creator and writer, Rob Thomas, has mentioned that their dream goal is $5 million. They just included a $1 pledge option, so if you want to be part of movie making history and get behind the scenes info on the film, you can do that without breaking the bank. I have just started Season 3 and I will be sure to bring you my review of that one shortly. My thoughts after the first episode: Love the new opening and theme song changes, the new girl introduced is currently starring on Dallas, more jokes, but they all work…and I miss Jackie.